I am incredibly excited to welcome Tahereh Mafi to YA Highway today. Her debut, SHATTER ME, hits shelves today! And now for questions with Tahereh! 1. These days teens are surrounded with messages heralding the impending doom of their world – whether economically or ecologically. (Remember the Gulf Oil disaster and the internet rumor that an oceanic volcano was going to blow and result in the total annihilation of live as we knew it in America? No? Okay.) What drew you to writing a story where all these things have come to pass? What was it like fitting Juliette into that sort of world, so soon after the collapse of ‘civilization’? a. I'm a very curious person. I've always wondered where we might go and what we might do to get there; and right now — perhaps more than ever — there's a lot of uncertainty about the world and what we've done to it. I'm concerned about our planet and what's happening with the weather, to plants and animals. These concerns made me question what might happen if things really fell apart and it seemed like the perfect backdrop for fiction -- an excellent place to test possibilities and the adaptability of human nature. 2. What was it like writing Warner? He’s such a compelling villain! Just as compelling, I would argue, as Adam, and just as swoon worthy, though in different ways. Where do you find it in you to make being bad look so good? a. I love writing Warner. He’s definitely my favorite character to bring to life because he's so unpredictable. He’s quite terrible, actually, which means he's always doing something shocking on page. But at the same time, he's also an incredible complex person with a multi-layered backstory. I can't really take responsibility for who he is -- and I’m not sure I’d want to, considering all the horrible things he's done -- but I have fun trying to capture him on paper. He really just does whatever he wants. I’m nothing but a middleman. I doubt he'd find me very interesting, actually. 3. In that vein what are your feelings on impending Adam v Warner debate? Have you picked a side yet? Do share. a. OMG. I can't even. I love both of them in very different ways -- and my biggest problem is that I’ve already finished writing the second book. I know exactly where these characters are going and how they will develop, so I’m biased in so many ways. I know wayyyyy more about Warner and Adam and Juliette and Kenji than the readers of SHATTER ME, so it's not fair for me to give an opinion. But I am beyond thrilled that people are intrigued by Warner. This makes me so, so happy, because he was never the typical villain in my mind. 4. What were your favorite scenes to write? (I know which were fun to read) What relationships were and continue to be your favorite to develop? a. My favorite scenes to write are always two: 1. The kissing parts. 2. The action-y parts. Those never get old. And my favorite relationships are actually not the romantic ones. Juliette and Warner, for example, have a very interesting dynamic. It’s a strange give and take, each one inspiring unexpected thoughts and feelings in the other. I’m so fascinated by the human character and all its potential. 5. Juliette is such a compelling character with an amazing voice –what was it like getting into her head? She’s vulnerable and discovering that her weakness can also be a strength. Did anything from your life (books, television, etc. – or your own personal experiences) inspire the way you chose to write and portray her? a. I think now that the book is written, I can certainly look back in retrospect and see how so much of her is the consequence of things I’ve seen and/or thought about and/or experienced. But while I was writing the book, I didn't think about it consciously at all. Her voice just came to life. I saw a girl in my head, locked away somewhere, quiet and scared. That’s all I knew. So I let her lead the story and evolve into the person she needed to become. 6. Its obvious from (stalking) watching your Twitter and your tumblr that you have a serious case of fashion love – how has that affected the way you structure SHATTER ME – especially in connection to the vivid imagery associated with the way Juliette dresses? a. Oh, it doesn't at all, actually. Juliette definitely didn't inherit my sense of fashion; she has no need for it, no interest in it. She is, however, forced to wear pretty dresses at one point in the book, and I had some fun imagining what those outfits might look like, but they were never a huge part of the story. Warner is the only character in the book who has a preoccupation with the way he dresses. And he always looks amazing. Ahem ahem. This, of course, is all kind of fascinating to me, seeing as how he takes care to look so fancy when he's really just in the business of (um, spoiler alert?) killing people. TAHEREH: Welllll... you'll see a bit more of it in the second book, but Warner is very aware of his appearance. Everything he does is very methodical, very deliberate. He cares about personal hygiene and well-tailored outfits. He takes great pride in his appearance and has an impeccable sense of style. SUMAYYAH: WILL WE SEE HIM IN BESPOKE SUITS? TAHEREH: Yes yes you will. He likes his suits. SUMAYYAH:Ugh, Warner, how do you pull the worse and best strings of my heart? 2. One thing you can’t live without: Caffeine. 5. If you weren’t a writer, you would be…a fashion designer. Or a graphic designer. 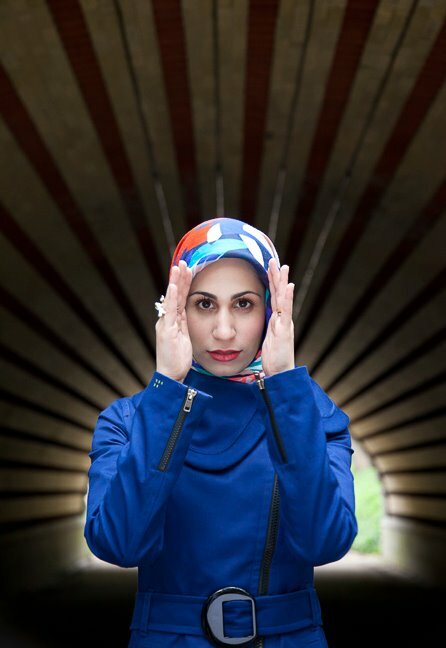 Tahereh Mafi, ladies and gentlemen! 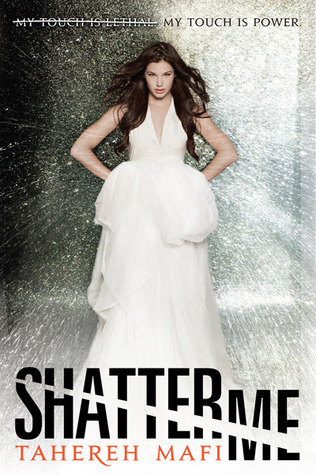 SHATTER ME hits shelves today! Be sure to pick up a copy! Tahereh Mafi is a girl. She’s 23. She was born in a small city somewhere in Connecticut and currently resides in Orange County, California, where the weather is just a little too perfect for her taste. When unable to find a book, she can be found reading candy wrappers, coupons, and old receipts. You can find her here, on twitter, and on Facebook. Great interview! And come on, I'm not the only one who finds Warner awesome, right? I mean, a guy with an 'impeccable sense of style' and all? SUITS? 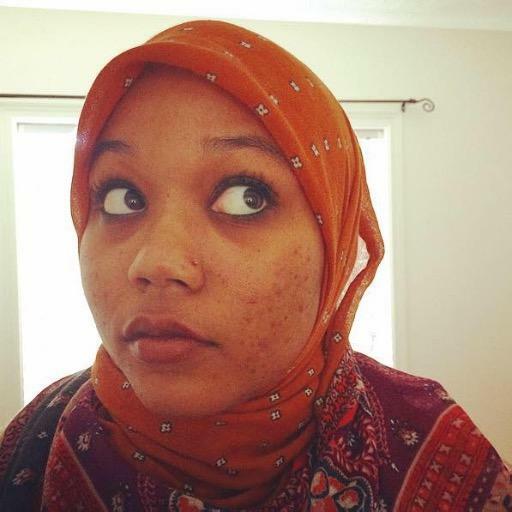 Congrats, Tahereh! Have a wonderful day! Tahereh is so awesome!!! :D GREAT interview! Also: LOVED SHATTER ME! Terrific interview, and Shatter Me sounds awesome! Rushing over to get a copy right now!